When I found out I was expecting my firstborn, I poured myself into books because I had no idea what I was doing. 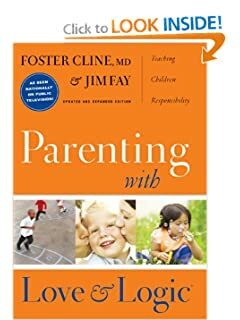 There are several that I would highly recommend for your parenting bookshelf, but one has recently been gifted to me that I am finding so encouraging and useful. I wonder where it was 12 years ago so that I could have had these foundational bricks under my parenting structure long ago! I have only begun to read this valuable book, but I discovered a fellow blogger who writes very well who has put this book into practice for years! Courtney D. Scott was gracious enough to write a review and share it with me, so that I could share it with you. This book review was written in response to several requests. I mention this book many times in previous posts and some folks wanted to know more. I claim no expertise in parenting (children or adults or anything in between). Call me naive (or reckless), but the magnitude of raising children was still a mystery even as I was bringing the second one home from the hospital. I understood that my husband and I were responsible for feeding, clothing, housing, educating and loving our children. I thought I had an idea of how we would parent our children with open communication and a good amount of discipline. But before the boys even got past the diaper phase and into the opinionated, strong-willed, and separate-minded phases, I realized we were in for a lot more than supplying basic human needs. We had to set examples and model proper behavior and responses to the world around us so that our children will know how to navigate the challenges of life. We had the desire to do the job, but I was not sure we had all the skills that the job required. We definitely did not have the job experience. As I am prone to do when I realize that I am uninformed, unskilled or uneducated in a topic, I headed to the bookstore. I read several parenting books over these past twelve plus years. Some were immediately recycled or donated. Some still sit on my shelves, picked up from time to time, good enough to keep around just in case. But one has remained where I keep all books that make it to my personal reference library: on the lower shelf of my nightstand for quick access and frequent re-reads. Parenting with Love and Logic by Cline, Fay and Peterson sits on at the ready for my next parenting dilemma. My husband and I reach for it after particularly tough parenting days to bolster our confidence with a late night parental pep rally. I go to L&L for the quick afternoon parenting crisis refresher session when my sons present me with yet a new parenting puzzle.The main premise of L&L is teaching children responsibility. The authors believe in the concept so much, they made it the book’s subtitle. The authors walk us through the pitfalls of doing too much for our children, sabotaging their own decision-making abilities by making every decision for them, and then expecting them to make good decisions when they are outside of our eyesight and jurisdiction. L&L warns us about mollycoddling (yes, I’m bringing that word back!) our children into irresponsible, incapable adults and helpfully gives alternatives to that fate. L&L supports a cause and consequence approach to teaching responsibility paired with building a child’s self-concept of being loved, being confident in one’s own age appropriate skills and being confident in making age appropriate decisions. The best thing that L&L does for me is to help me step back from my unproductive emotions and think clearer about the situation at hand. Love is always the underlying emotion even if it presents itself as other common parenting feelings. Think about why you have fear, frustration, or disappointment about your children and their behaviors. It’s because you love them. So focusing on the underlying love rather than the frustration with yet another delinquent math assignment helps to temper the situation. The alternative to chiding a child over a frustrating situation or fixing the problem yourself is not merely to say “I love you; it will be okay”, but to respond by offering a loving solution that the child can handle with proper guidance.One of the most loving things you can do for your child is to arm them the tools and self-trust they need to stand confidently on their own abilities. One of those tools might be failure on their own rather than success by our doing. This is where the cause and consequence notions of L&L kick in. Like most parents, I don’t want my children to suffer or struggle. I have often felt that urge to save them from struggle and I have chosen to do many things for them to avoid their failure and consequential sorrow. Just as often, I also have chosen to do things for them that they were fully capable of doing to make it more convenient for me: less mess, done quicker so that we were out the door and on to the next thing. What I didn’t realize that I was short-changing their growth opportunities in trade for a candy-coated world of convenience otherwise known as not real life. No one can learn from their missteps if they are not allowed to make them in the first place. No kid will assume personal responsibility if mom and dad come to the rescue every time. L&L has given me a broader view of parenting. As parents, we are responsible for our child’s well-being, nutrition, safety, security, mental health, transportation, socialization, education and the list goes on and on. In the face of such numerous responsibilities and in the day to day of just getting things done, we forget that the largest of all the parental responsibilities is not that we are raising children but that we are actually raising adults, more specifically raising children into responsible adults. We should be raising our children to not need us to do so much for them and the sooner the better, with age appropriateness always a consideration. L&L provides some perspective so I can choose my battles. I used to think that as a parent, I had to control every move that my child made or else I wasn’t doing my job. Now I see that the constant “my way or the highway” approach to parenting my boys only creates a never-ending drip of parenting rhetoric that ultimately no one likes or heeds. That’s okay if the issue isn’t critical but when the stakes are high, you want your kids to listen. So the boys can choose to not wear their coats when it’s forty degrees while I am toasty warm in my coat. But I won’t say one word about it. Since I haven’t been harping on them constantly, they hopefully haven’t tuned me out completely. And when I really need them to hear me, they will listen when I talk to them about things that really matter, like not doing drugs. I don’t agree with or follow everything in L&L. It’s merely a reference guide for me. Some of the techniques are too arrogant and standoffish for my parenting comfort. There are too many situations where I believe you can still apply love and logic without having such an “I told you so” undertone. Some of L&L solutions are too much Father Knows Best and not enough Sheriff Andy Taylor for my tastes. But like most books touting a method, I take what works for me and leave the rest for the rest. L&L is really a quick read. The meat of the method is covered in just over 100 pages. The remaining 150 pages or so cover specific common parenting scenarios and the application of the L&L tools. This section, “The Pearls of L&L” is where I go to when some new parenting issue arises. There is a pearl for everyone here, regardless of your child’s age or stage. There was a pearl or ten for me when my little boys were giving me fits with constant whining or temper tantrums. There is a pearl or ten for me when my now bigger boys are making me crazy with their video game obsessions and their homework aversions. That is why this book has stayed on my shelf: its usefulness has grown along with my children.L&L has turned me into a sound bite spouting machine at times. As I said, L&L helps me choose my battles. I try to avoid the “wear your coat”, recurring type arguments with my kids. But I still feel the need to respond in some way. In those ground hog day moments, when I feel like we’ve arrived at where we’ve been a million times before and my kids want to go through the argumentative drama yet again, I respond with, “I love you too much to argue.” Who can argue with that? I also use that phrase when we are at an impasse and emotions (mine or theirs) are running too high. “I love you too much to argue” gives me my pass to walk away for a time and regroup. I also can say, “I’ll discuss this when you are (or I am) less upset” when unproductive emotions keep us from focusing on a solution. I thank L&L for planting those common sense seeds that will sprout even in the sometimes rocky soil of parent-child interactions. Even with L&L at my disposal, I still frequently parent old-style with emotional outbursts of parental guilt-inducing proportions and good old-fashioned “go to your room” responses to my kids. I am human and some things just bring me to that. But when I am grounded and at my parenting best, I will put on my Andy Taylor, L&L style, and make sure my Opie gets his shot at figuring out how he can fix the mess he made for himself. Courtney D. Scott is a photographer, writer-in-the-closet, yogini-in-the-making. She is the mother of two unique and clever boys and wife to a man she keeps falling in love with over and over again. 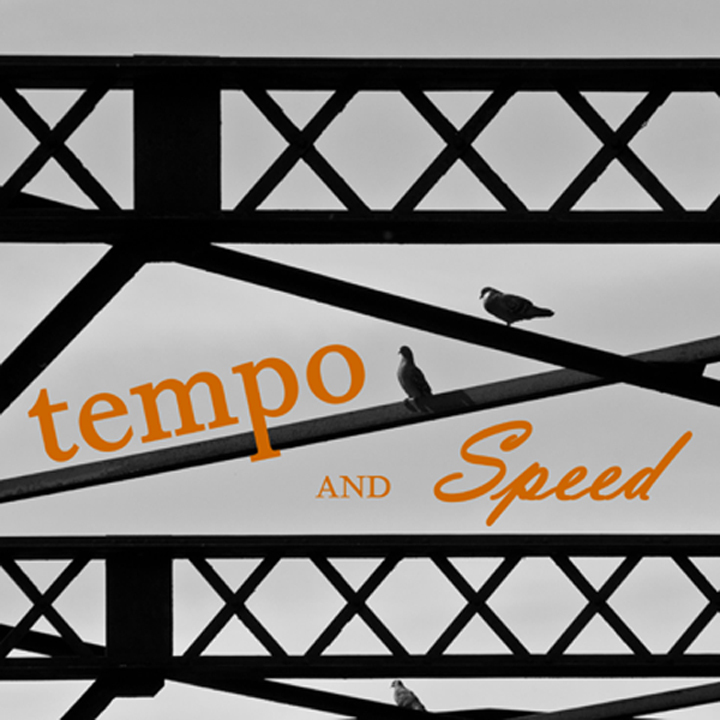 She shares it all on her blog Tempo and Speed.